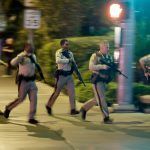 In newly released Las Vegas shooting body camera footage, Metro officer Cordell Hendrex and second-day female trainee Elif Varsin responded to a call from Mandalay Bay about an unrelated trespassing call on the night of October 1, 2017. 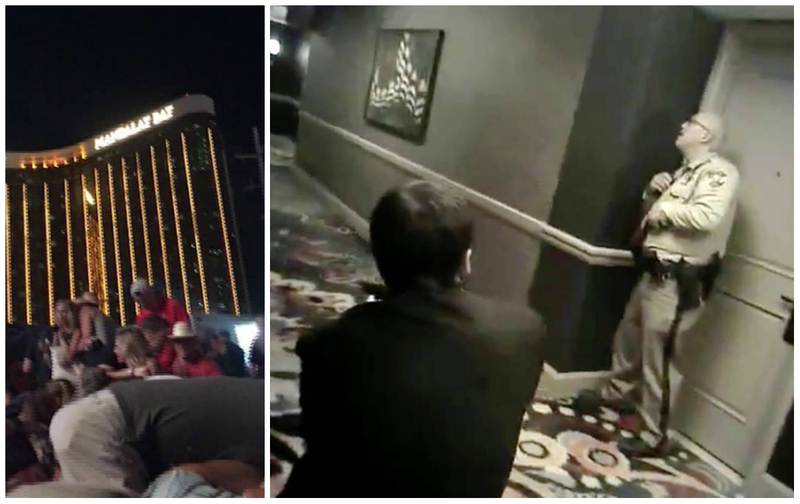 Moments later, mass murderer Stephen Paddock began firing from the 32nd floor. 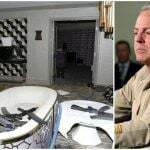 Hendrex, Varsin, and three armed Mandalay Bay security guards were directly below Stephen Paddock’s Mandalay Bay suite as he fired hundreds of rounds of ammunition at an outdoor concert below. The five took cover in alcove doorways, and can be seen standing in place for nearly five minutes as Paddock’s rampage continues. An officer is heard over dispatch saying, “We need to stop the shooter before we have more victims. Does anyone have eyes on the shooter?” Hendrex screams, “Oh my god,” as the gunfire continues to escalate. Paddock fired for roughly 10 minutes, killing 58 people at the Route 91 Harvest country music festival. 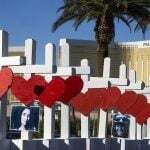 It’s been designated as the deadliest mass shooting in modern US history. This week’s body camera release is the eighth set of investigative materials to go public after the Nevada Supreme Court ordered Metro Police to disclose the body cams in a timely manner. It was already known that at least one police officer was on the 31st floor during the shooting, and that Mandalay Bay security guard Jesus Campos was shot at by Paddock on the 32nd. Campos was outside Suite 32-135 in the earliest moments of the shooting. One of the Mandalay Bay security guards with Hendrex and Varsin is heard telling the officers the exact location of the shooter in the elevator, but they decide to exit at floor 31. 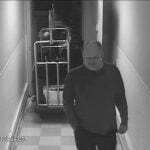 Paddock had installed a makeshift surveillance system to monitor the hallway outside his room. At 11:20 pm, SWAT used an explosive device to enter the room, where they found Paddock dead from an apparently self-inflicted gunshot wound. Despite some criticism regarding his agency’s readiness for and responsiveness to that event, Lombardo was re-elected to another four-year term earlier this month with nearly 73 percent of the vote in the five-person race. The second-term sheriff raised more than 10 times the campaign fundraising compared to the others on the ballot. But that was less than half of the nearly $2 million he raised to win his sheriff’s seat initially in 2014.